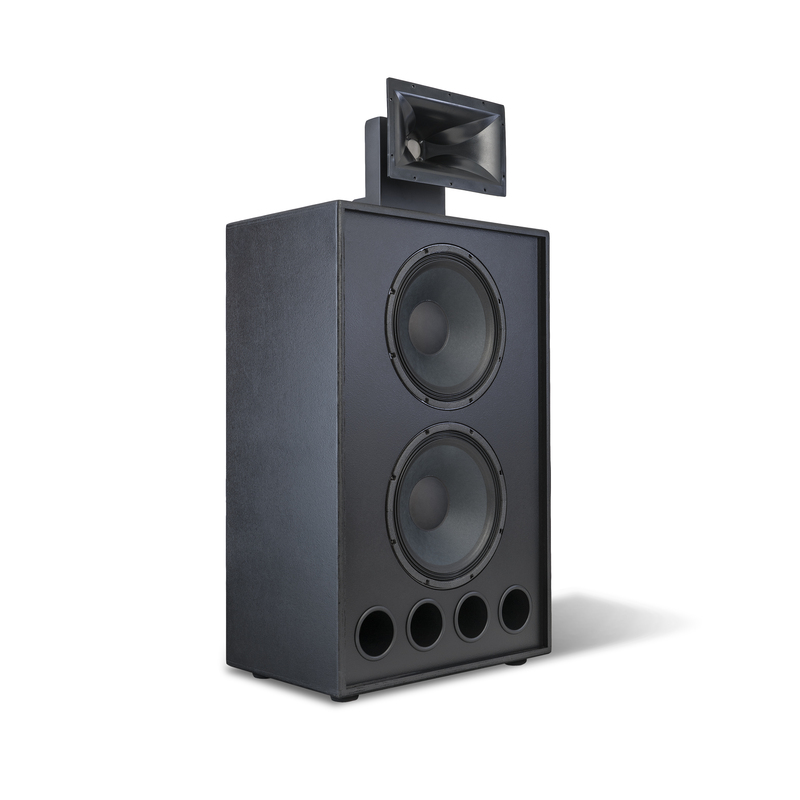 Klipsch Cinema and Stage Systems deliver an audio experience so lifelike, audiences have to hear them to believe them. 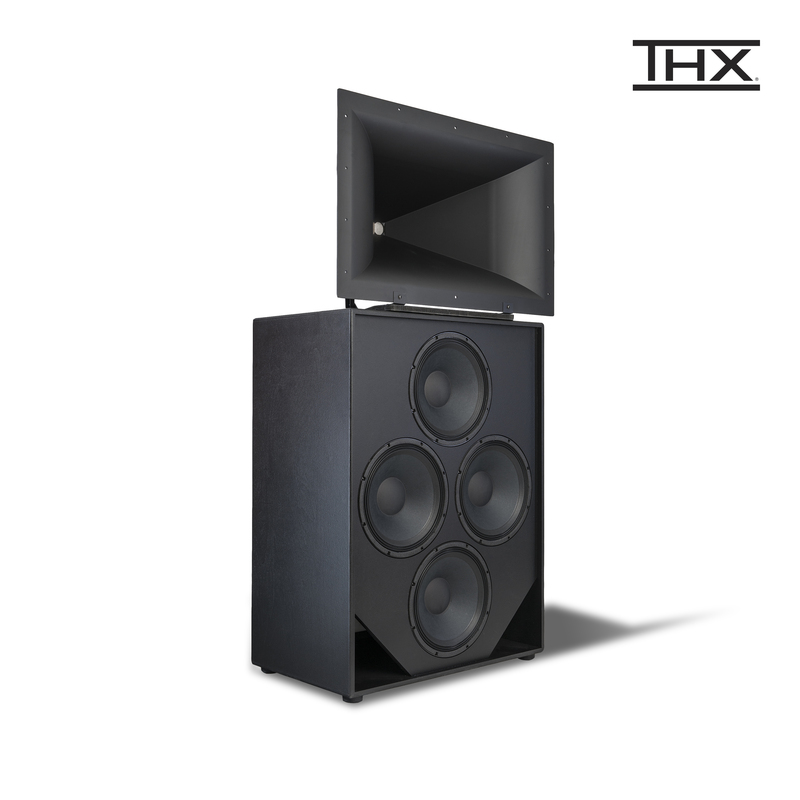 Long a favorite of theater operators worldwide, we continue to innovate. 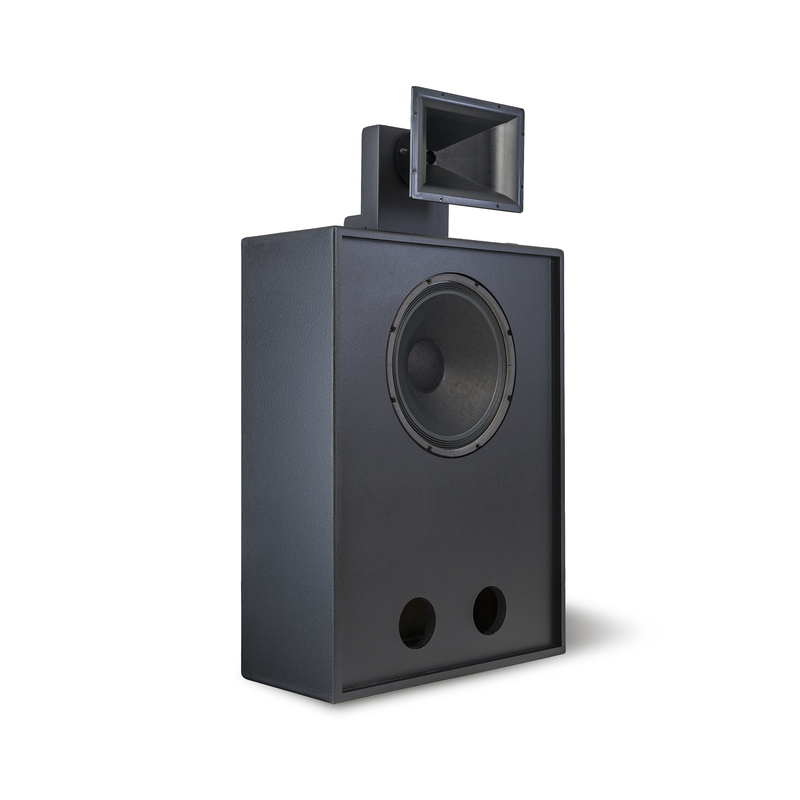 American-made Klipsch cinema speakers offer years of reliable and trouble-free performance and extraordinary wide, consistent coverage. 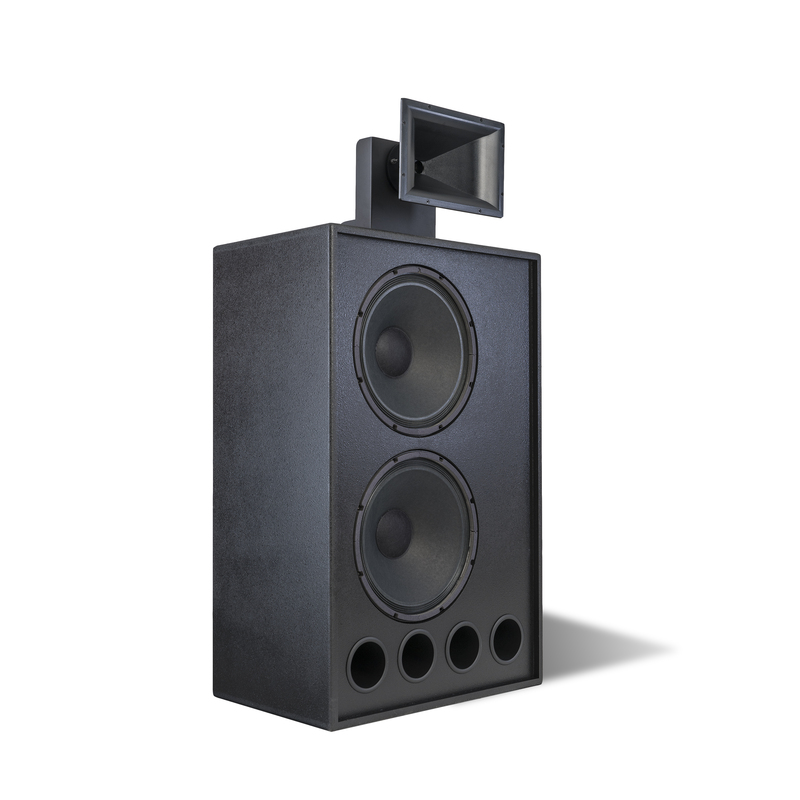 Audiences have never heard dialogue so precise or digital soundtracks so stunningly detailed and immersive. 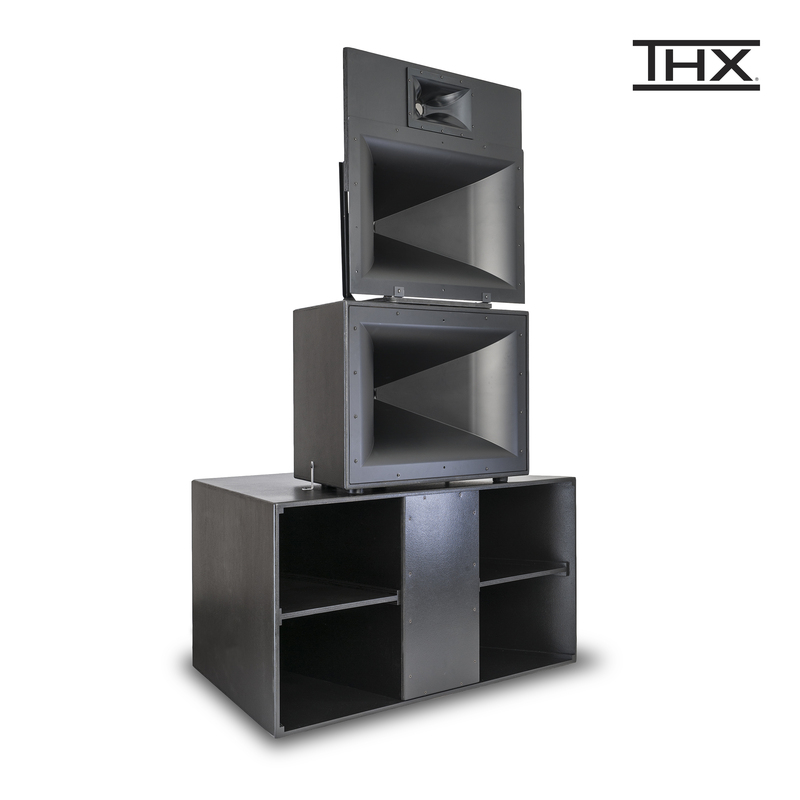 From cavernous auditoriums to cozy cinemas, we ensure that your patrons enjoy their movie experience to the fullest. 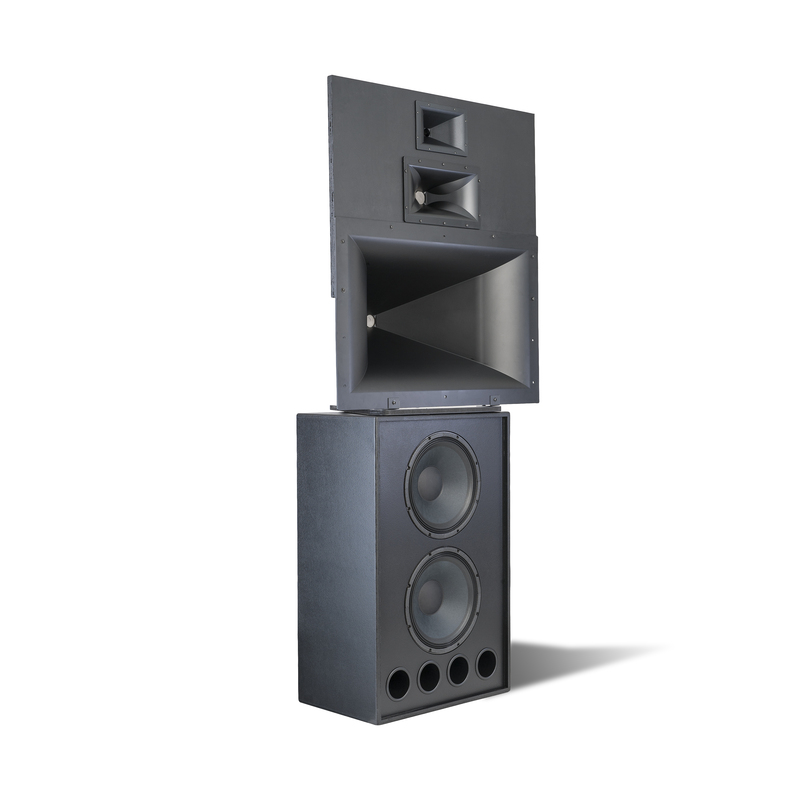 The four-way KPT-MCM-II is now offered with a passive crossover network for operation in a bi-amp configuration. 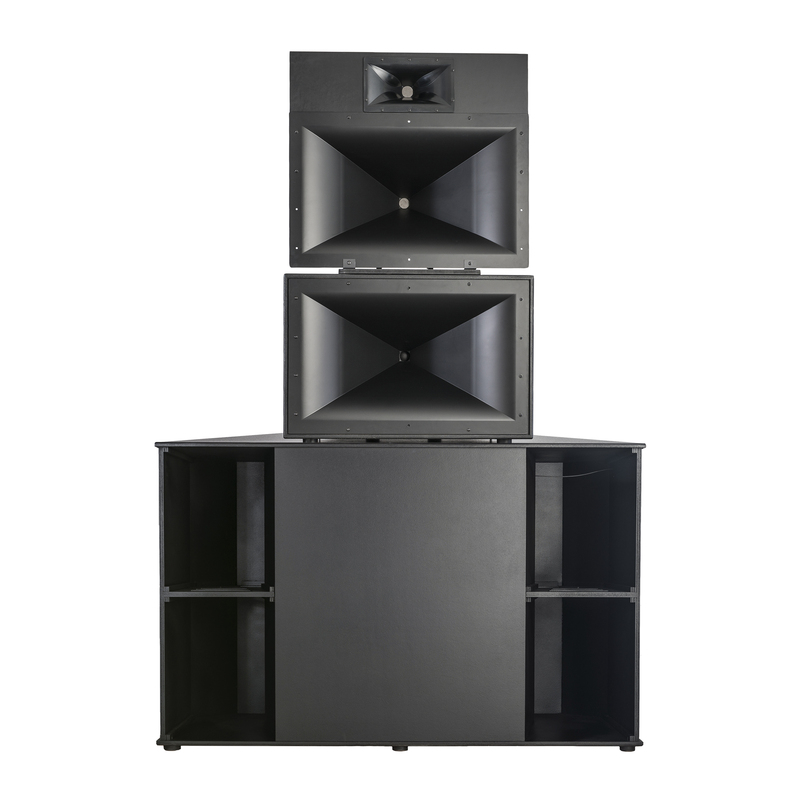 The ultimate behind-the screen system can now be powered with less amplification, using less wiring and with reduced install and setup time in a new or retrofit application. 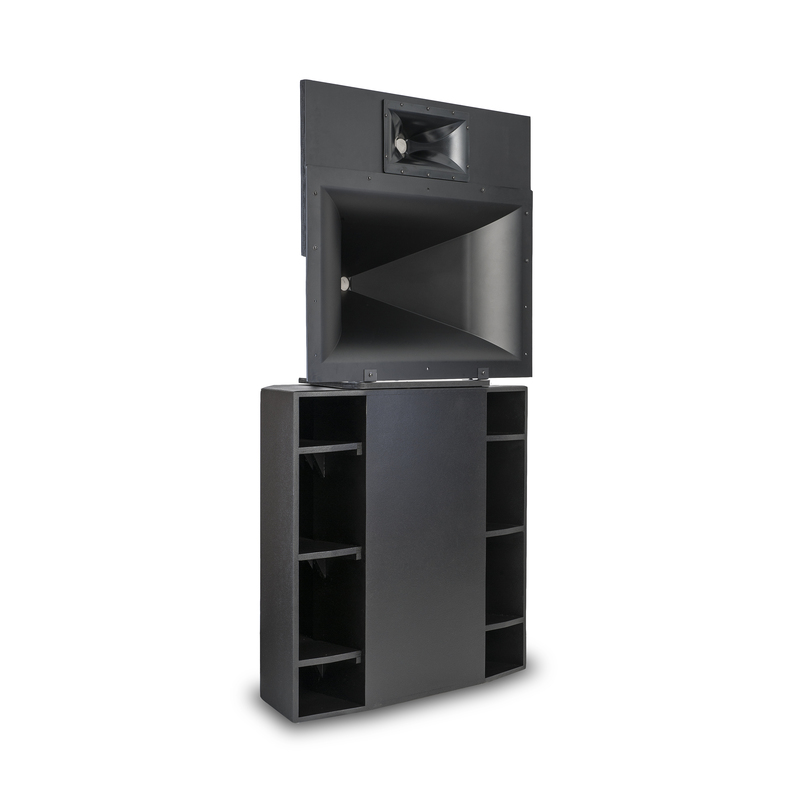 The KPT-745-B is designed to generate similar movie chills and thrills as the KPT-MCM-II, but from a much shallower cabinet to fit a limited depth area behind a screen in a grand auditorium. 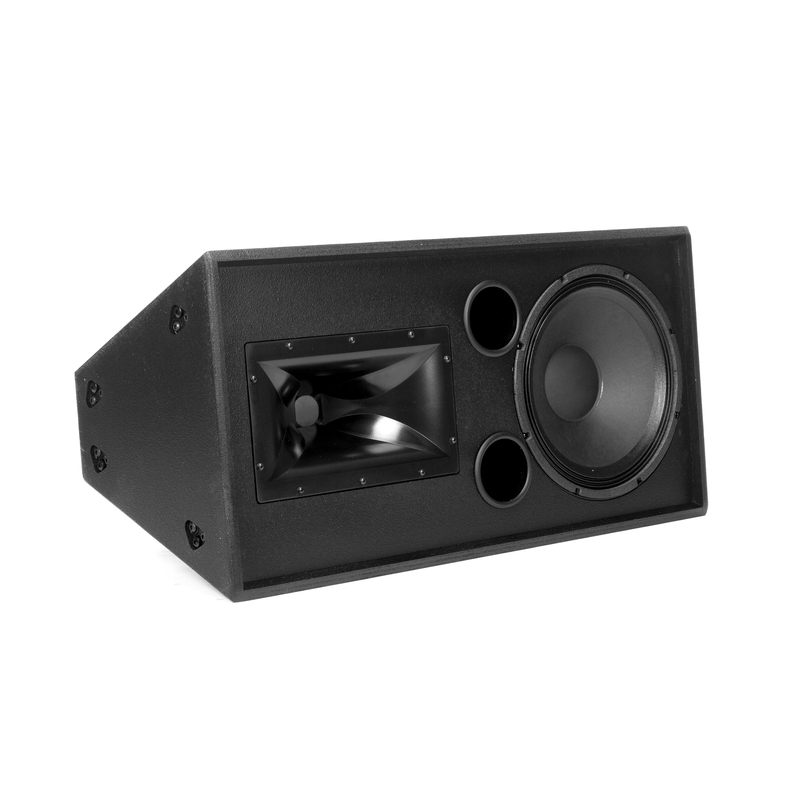 The passive processor reduces the amplifier count to two and that bi-amp configuration reduces wiring runs and the labor time for installation. 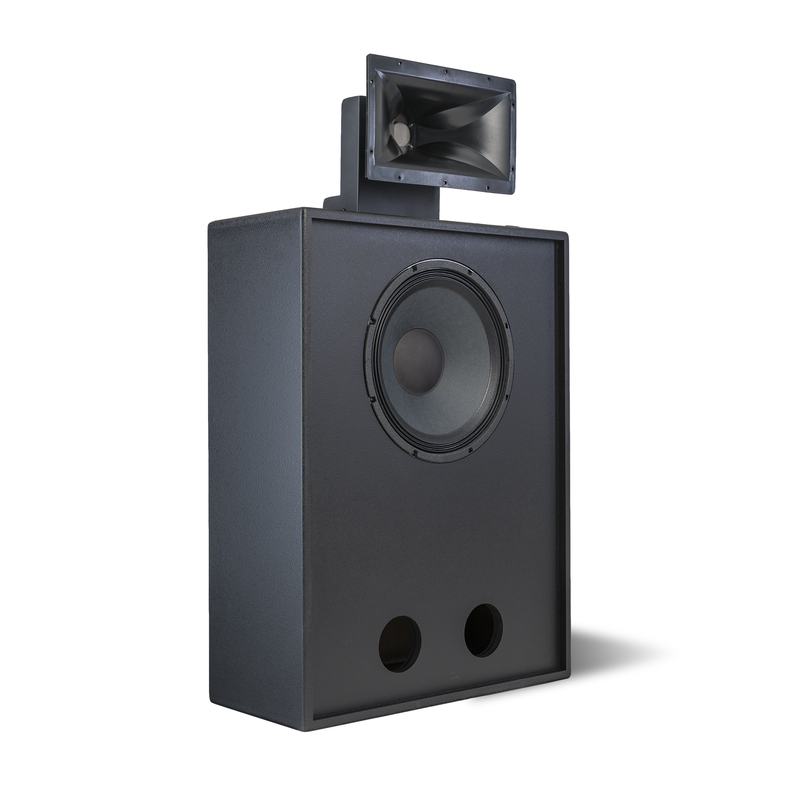 Designed to thoroughly deliver digital soundtracks to small to medium sized auditoriums, the KPT-445-B is now offered with a passive crossover for bi-amping. 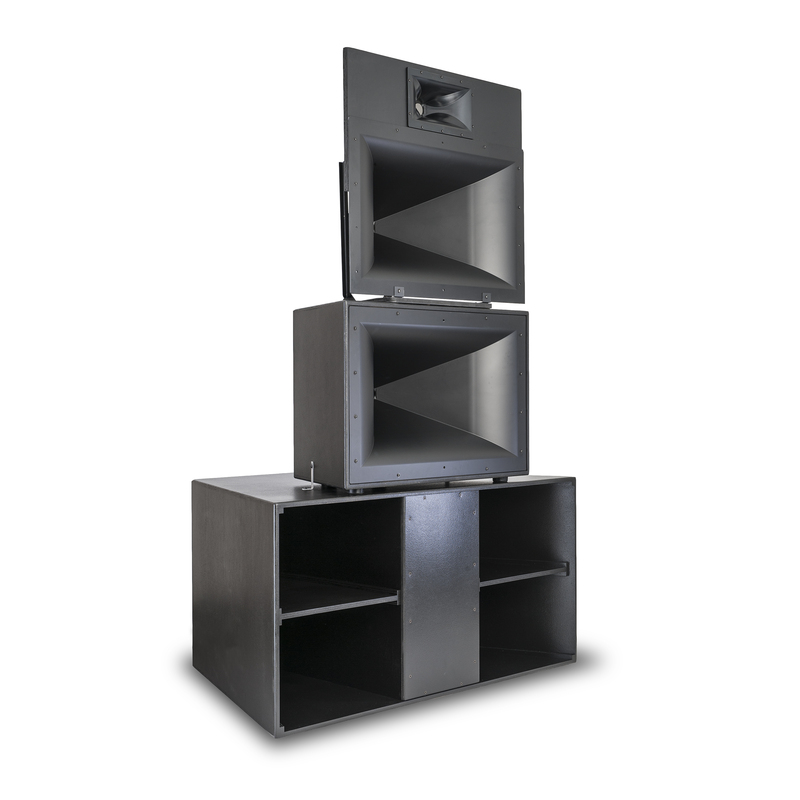 Reduced amplifier numbers leading to reduced wiring lengths generating reduced labor hours makes it a perfect solution on a more-restricted budget. 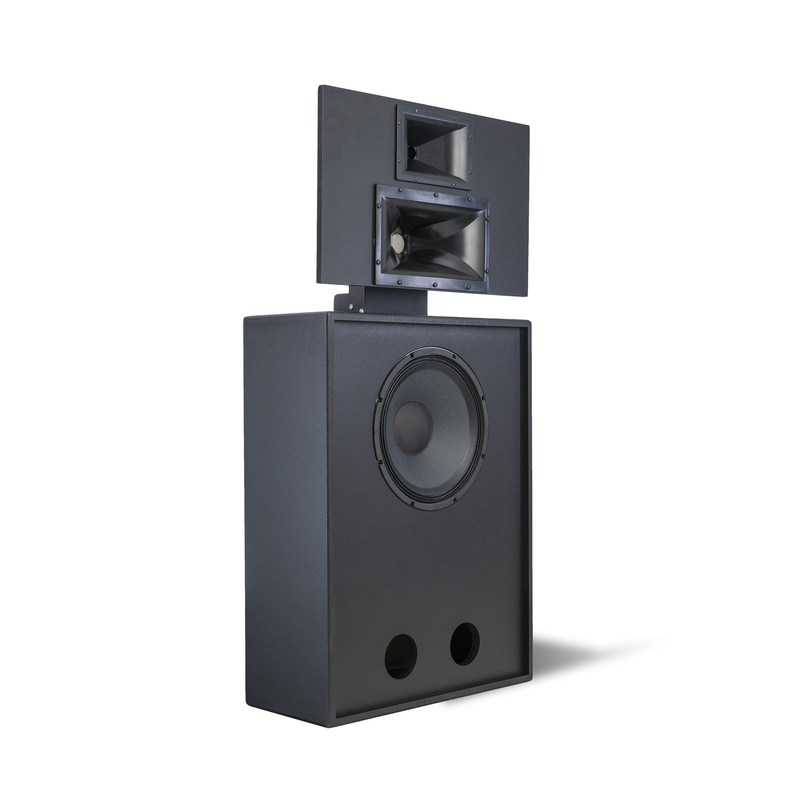 With auditorium space at a premium the Jubilee™ low-frequency device with its 24-inch depth is the ultimate space-saving solution. 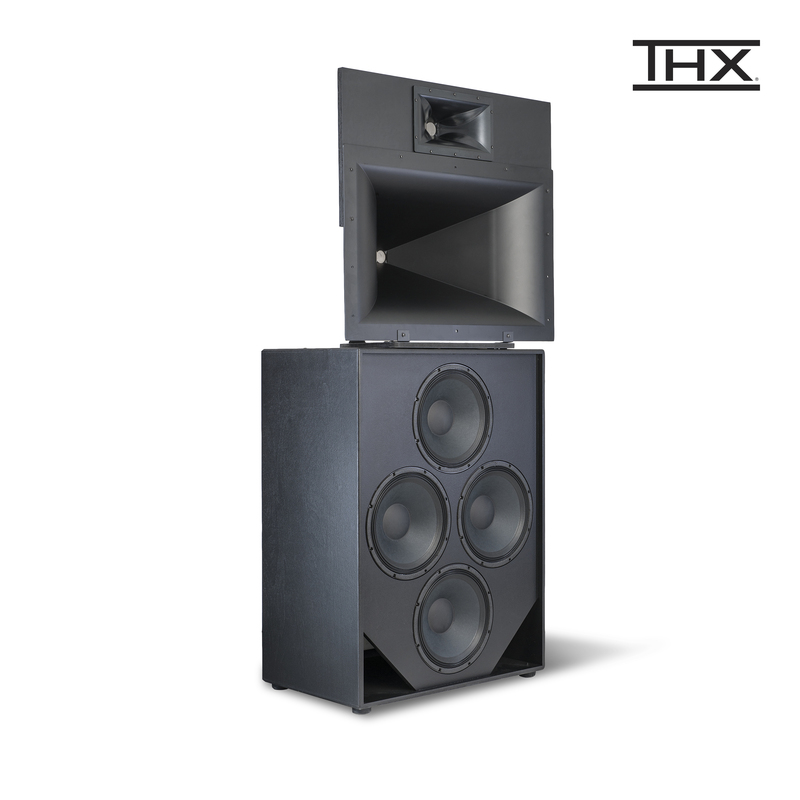 Developed by audio pioneer Paul W. Klipsch in 2001 this dual 12-inch loudspeaker system couples the horn-loaded woofers with the KPT-402-MF mid-bass Tractrix Horn coupled to the Klipsch K-1133 two-inch exit titanium compression driver. 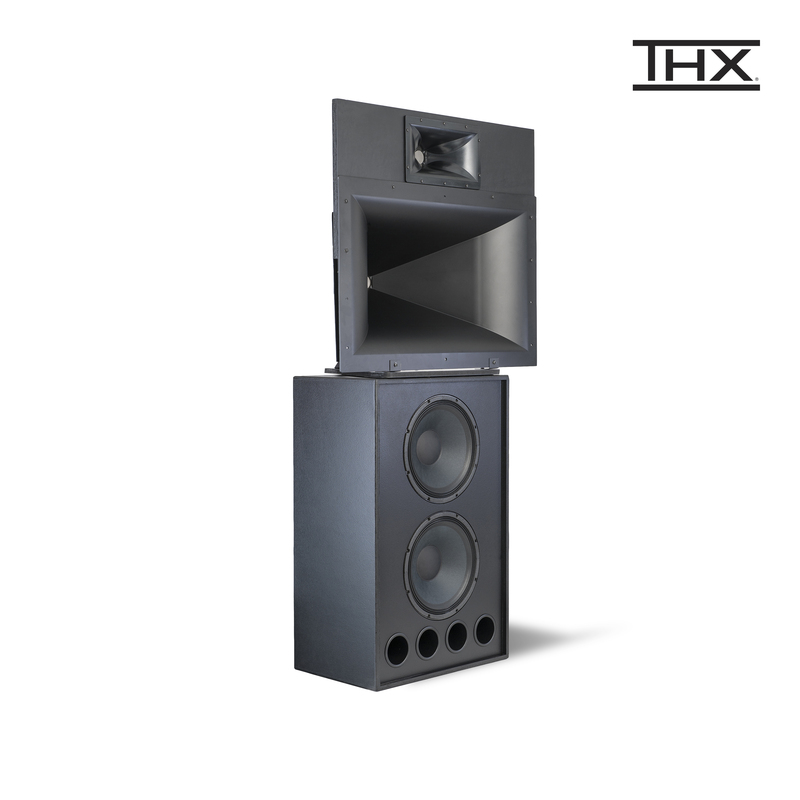 The high frequencies are easily handled by the KPT-Grand-HF-T Tractrix Horn. The KPT-535/4-B is an enhanced version of the KPT-535-T with a KPT-415-LF quad 15-inch direct-radiating bass unit for greater output in large auditoriums. 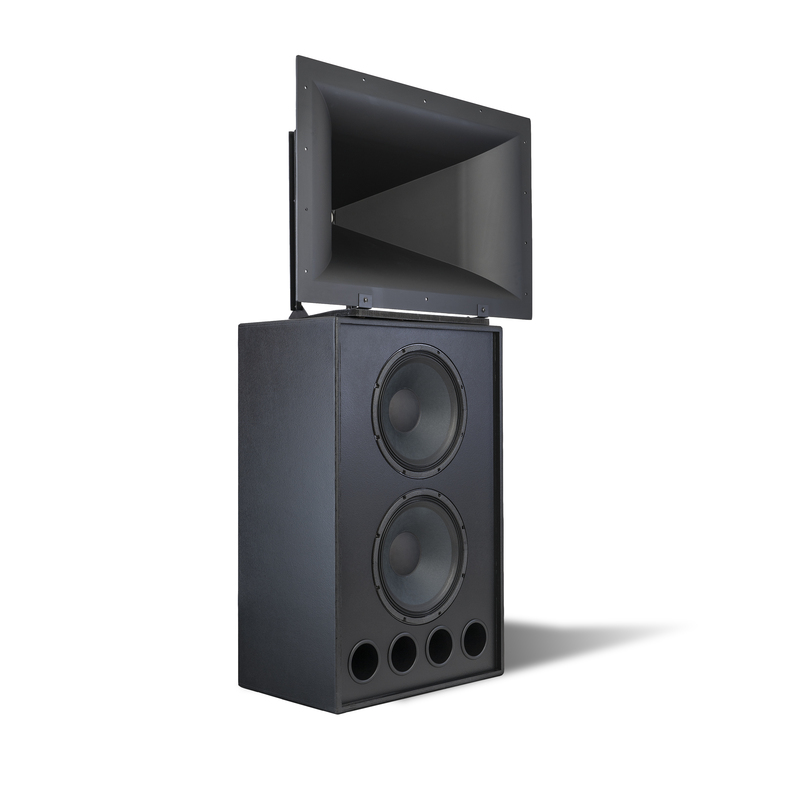 With higher output it still retains a shallow 24-inch depth to accommodate limited behind the screen areas. 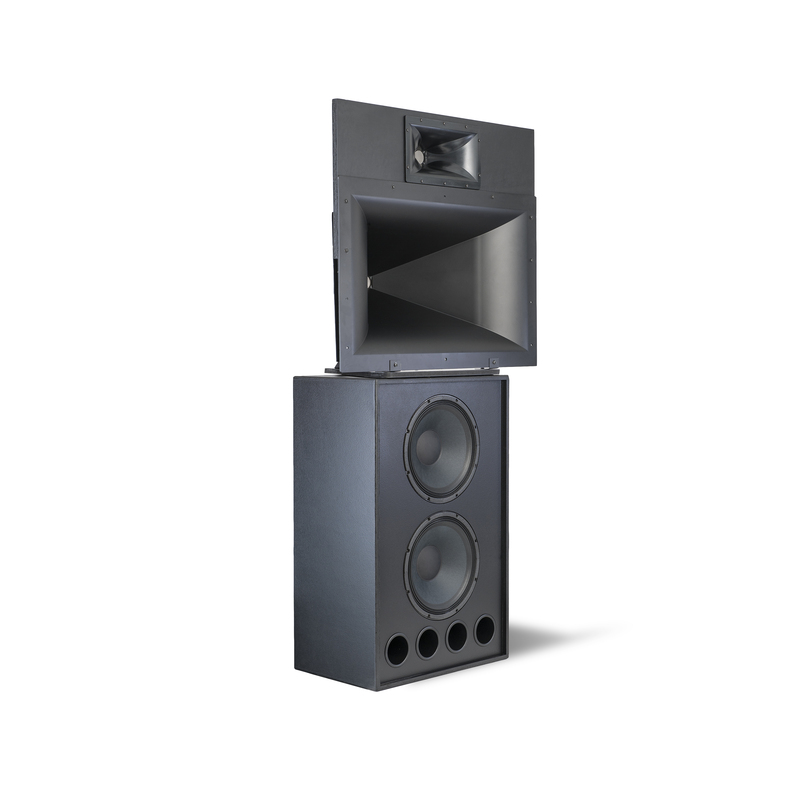 Its three-way design with its bi-amp configuration using a passive crossover system also reduces wire runs and simplifies setup. 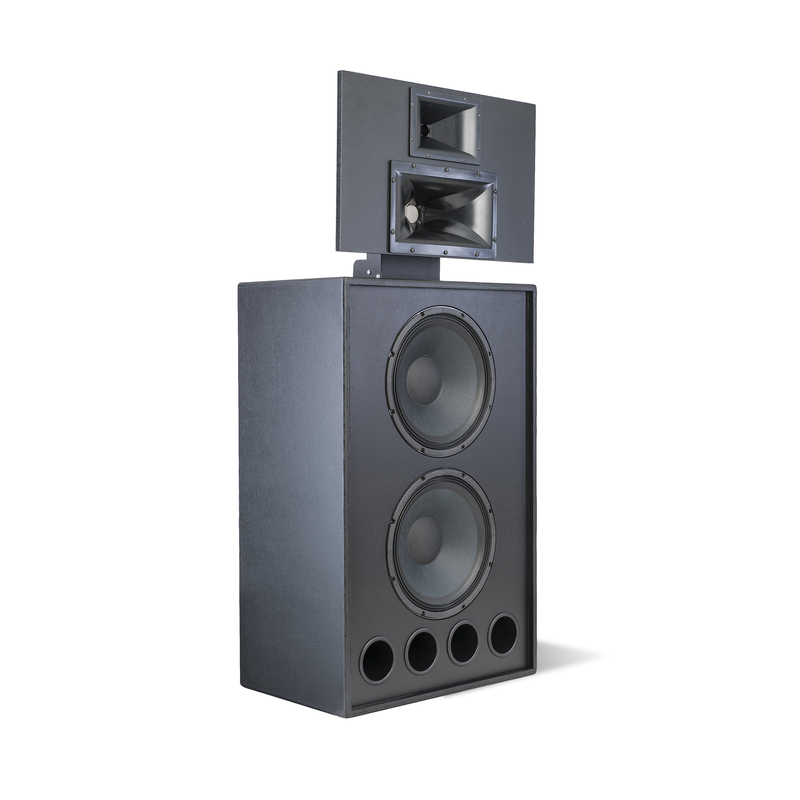 Dialogue is flawlessly reproduced with a KPT-402-MF Tractrix® Horn fronting a K-1133 two-inch exit titanium compression driver, and a KPT-Grand-HF-T Tractrix® Horn ensures smooth effortless treble reproduction. 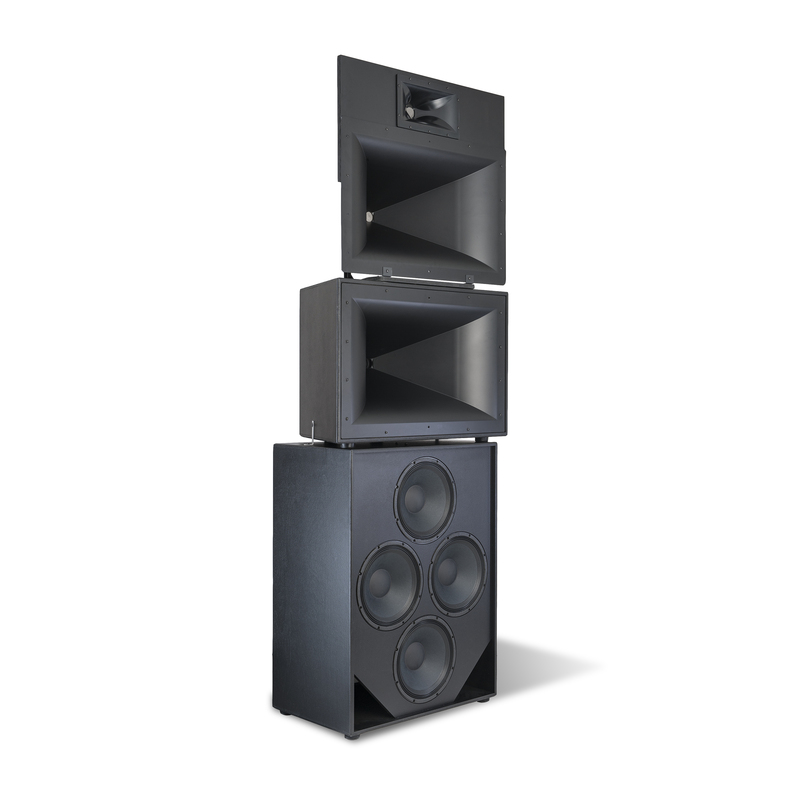 Embracing the concept of a three-way direct radiated bass system in a behind-the-screen application the KPT-535-B utilizes the KPT-904/940-LF double 15-inch low frequency system for clean, powerful output in a system that is still only 24 inches in depth.